The Smart Roof Team is comprised of a group of architects, engineers, industrial designers, landscape designers, fabricators, assemblers, thinkers, and leaders in the renewable energy and sustainable building market. We transform rooftops with integrated sustainable solutions. Our aim is to provide property owners with a SMART investment, an integrated design and the most cutting edge technologies available, so that your rooftop can be transformed into a productive resource. Whether yours is a single rooftop or an interconnected institutional or community development, our priority is to ensure that the project is feasible and financially viable. We asses, design, fabricate and assemble your rooftop by harnessing solar, wind and/or water energy in an integrated sustainable solution. We do a feasibility to maximize the opportunity. We design, engineer and obtain permits. We manage, fabricate and assemble. We believe that our six SMART elements (sun, wind, water – landscape, environments, wired technologies), if designed holistically, can transform your rooftop into a beautiful and sustainable asset that can make you money but also contribute to a more balanced global ecology. EmPower is the preferred solar provider of over 1,500 New Yorkers and a proud partner to one of the world’s most innovative and sustainable energy companies, SunPower Corporation, leveraging 30 years of industry experience and record-setting technology. Kamtech Solar Solutions is a New York City-based alternative energy company committed to designing and installing the very best in solar energy systems. 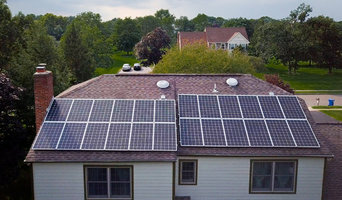 With over five years of experience in a relatively new industry, we have successfully installed thousands of solar panels on residential, commercial, and industrial structures. We are capable of installing on flat, slate, and spanish tile roofs, handling 80% of the city's specialty roofs. We take great pride in our work, that’s why every project we complete has an ROI-driven design with the installation of panels, inverters, and monitoring technology. We pay special attention to features like roof angle, azimuth, and shading to ensure your system generates the most power for the lowest cost to you. With just a copy of your electric bill, we can provide you with a free estimate on how much energy you could be producing, what the total cost is and if a lease or purchase makes the most sense. From there, we evaluate your roof's exposure, your average monthly energy needs, and your current energy goals. With this information in hand, we can provide you a clearer estimate of cost and a timetable. Our customers come to understand the full value of solar energy systems as we work with them hand-in-hand through evaluation, design, permit processing, installation, and finally the prize: energy self-sufficiency! If you've been looking for a solution to high energy costs that will save you money and make you proud, Think Solar... Think SunBlue! For years Brooklyn’s iconic brownstone neighborhoods were overlooked and underserved by the dominantly suburban solar industry. 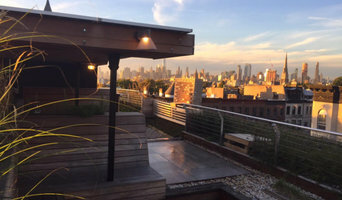 Brooklyn SolarWorks (BSW) was founded in 2015 to fill this void and to deliver the highest quality solar design and installation services to Brooklyn homeowners and businesses. Today BSW is Brooklyn’s leading residential solar contractor because it has built its entire business on solving, rather than avoiding, the unique architectural and regulatory challenges that have historically limited solar adoption in the borough. Our successful urban model - which encompasses specialized approaches to design, permitting, customer care, installation and system monitoring – has earned BSW the trust and satisfaction of its 500+ clients, as well as numerous industry awards, including recognition as one of FAST COMPANY MAGAZINE’S MOST INNOVATIVE COMPANY IN THE WORLD IN 2019. BSW takes enormous pride in realizing solar projects for NYC clients who have been told ‘no’ by companies that lack our local expertise, experience and commitment. Our hyper local operation is anchored in Brooklyn’s Gowanus neighborhood. Our team can reach 90% of our clients in less than 15 minutes by car. This close proximity supports superb customer care and trouble shooting capabilities, and ensures a seamless and stress free solar installation and ownership experience. BSW’s design innovations include the patented, award-winning BROOKLYN SOLAR CANOPY. The canopy overcomes common obstructions that minimize or prevent solar installation on flat roof homes, while creating sheltered open space for decks, green roofs and other amenities. Clients can visit BSW’s Solar Showroom, to see a full size demonstration canopy as well as other installation options that best meet their needs. Opened 6 days a week for appointment visits and staffed by BSW’s experienced solar consultants, the showroom is the only facility of its kind in New York City. Call today to visit our showroom or schedule a free solar home consultation. NECS Inc. is an energy consulting firm providing clients with a variety of energy savings solutions available today. For more info call us at (718) 437-6262. 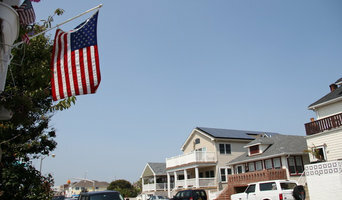 America Green Solar is the Premier Provider of Renewable Energy that operates in ALL 50 STATES! Going Green for NO MONEY DOWN HAS NEVER BEEN EASIER! AGS is the ONLY provider of Solar "Dual Fuel", meaning your heating needs can be solar too. Call us now for a FREE consultation. Go Green. Save Green. Let's Paint America Green! The power is in YOUR hands! Customer Appreciation Program: ***(10) CFL or LED Lightbulbs: Solar PV Customers ONLY*** Illuminate your home with energy efficient light and further increase your savings by adding an extra layer of green-friendly technology ***(1) GOOGLE NEST THERMOSTAT***: Control home temp from anywhere instead of leaving the heat or A/C on all day while you're at work, program and change it at your convenience. Connect from any mobile device without internet access. ***1 FREE MONTH OF ELECTRICITY***: Limited time offer! We are so excited to help you get off of 'Dirty Energy', we'll cover the 1st month of solar financing. After system activation, send your 1st solar finance bills to finance@americagreensolar.com and we'll take care of them. ***(1) LIFETIME FREE TV SERVICE*** - Mohu ReLeaf: Indoor HDTV Antenna Made with Environmentally Friendly Materials! ***AGS 'REFERRAL PLANETEER' PROGRAM: $500 AMEX Card*** Issued upon referrals' completed installation(s); 20 referrals per customer. BONUS OFFER!! 100 SOLAREUM Tokens issued after new AGS customer's first referral has completed installation. Sunrise Solar is a full service solar integrator offering sales, design, and installation of state-of-the-art solar energy systems for both homes and businesses. 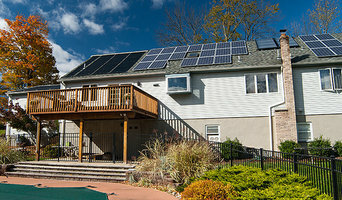 We are Westchester's premier solar installer. Solar Cents is a developer of solar projects ranging in size from 5 kW to 20 MW. Based in Northern New Jersey we utilize intellectual property, and advanced technology to reduce the development cost of commercial and residential solar projects by offering a better value proposition and the ability to service a much larger market. Through the use of their proprietary technology and processes, Solar Cents originates and develops the sale of commercial solar projects to Utilities, National solar developers/EPCs and investors. Solar Cents has over 65 MW of installed solar projects and more currently in development. SunTegra ™ Solar Roof Systems are designed and manufactured by Integrated Solar Technology (IST), a solar products company dedicated to developing and offering high-quality, innovative solar solutions that provide an attractive alternative to standard solar and better integrate into the way we build and live. SunTegra Solar Shingles and Tiles integrate directly into the roofline of a home or building with no racking, providing customers a more aesthetically-pleasing, high performance solar option that protects your home, produces clean energy, and provides roof and energy bill savings. Solaranbieter stehen Ihnen von der Planung bis hin zur Montage der Solarmodule zur Seite. Sie beraten Sie zu den Kosten sowie dem möglichen Aufstellungsort und helfen Ihnen die Größe Ihrer Solaranlagen zu berechnen. Unter der Berücksichtigung baulicher Vorschriften und einem besonderen Augenmerk auf Brandschutz übernehmen Experten die fachgerechte Installation von Solarthermie- und Photovoltaikanlagen und kümmern sich anschließend um Wartung, Reparatur oder Reinigung der Sonnenkollektoren. Für die Montage sollte in jedem Fall auch ein entsprechend geschulter Elektriker beauftragt werden, da bei unsachgemäßer Anbringung Feuergefahr besteht. Einige Solaranlagen-Hersteller in Passaic, NJ helfen Ihnen auch bei der Beantragung von Fördergeldern. Duchstöbern Sie einfach unser Experten-Verzeichnis, um den richtigen Anbieter für Photovoltaikanlagen zu finden. Naturgemäß sind die Ertragswerte bei nach Süden ausgerichteten Solar- oder Photovoltaikanlagen (auch PV-Anlagen) besonders hoch. Die Sonnenkollektoren sind deshalb vor allem auf Dächern mit südlicher Ausrichtung gut platziert. Grundsätzlich können Solarzellen auch an Fassaden angebracht werden, dort bringen sie aber meist einen deutlich niedrigeren Ertrag. Wer Solaranlagen in Passaic, NJ im Garten aufstellen möchte, sollte bedenken das auf diese Weise viel Fläche verloren geht. Hinzu kommt, dass durch die Bepflanzung des Gartens ein Schattenwurf auf die Photovoltaikanlage erfolgen kann und die Versorgung weniger effizient wird. Sehr modern sind Solaranlagen auf dem Dach, etwa auf dem Garagendach oder dem Carport. Bei niedriger gelegenen Anlagen muss jedoch darauf geachtet werden, dass in den kommenden Jahren keine Bäume und Büsche wachsen, die die Solarmodule beschatten. Ein häufiger Fehler bei der Planung von Photovoltaikanlagen liegt im Bereich der Statik. Dies gilt erst recht, wenn eine Anlage erst nachträglich eingeplant wird. Denn viele Berechnungen in Bezug auf die Dachkonstruktion müssen dann neu vorgenommen werden. Ähnliche Probleme können entstehen, wenn die Dimensionierung einer Solaranlage nachträglich geändert wird. Für derartige Änderungen sollte in jedem Fall ein Architekt oder Bauingenieur zu Rate gezogen werden. Wer eine Solarthermieanlage in Passaic, NJ installieren möchte, sollte zudem darauf achten, die Anlagengröße am eigenen Verbrauch auszurichten. Während überschüssige Solarenergie problemlos in die Stromnetze eingespeist werden kann, kann durch Solarthermie aufgeheiztes Wasser in der Regel ausschließlich innerhalb des eigenen Hauses verwendet werden.